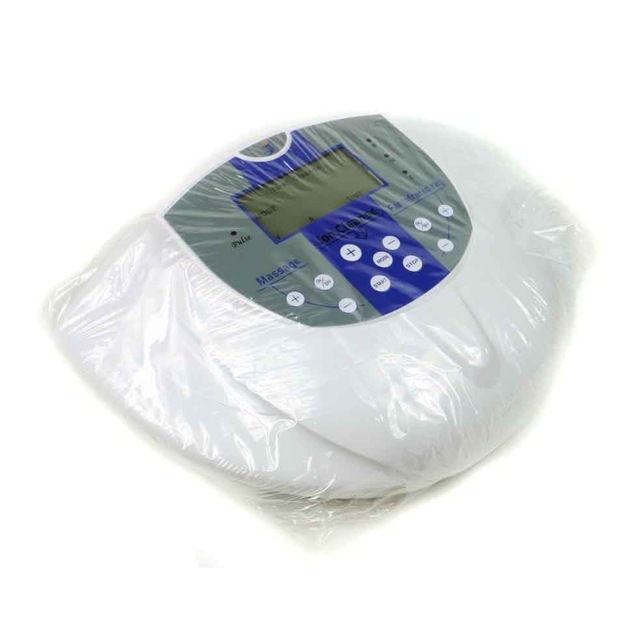 Why we need the cell spa detox machine? The cell membrane is the important channel for the substance exchange and stability inside and outside the cell. When the membranes electricity potential is from -70~-90MV, the cell can work well, and remove toxins. 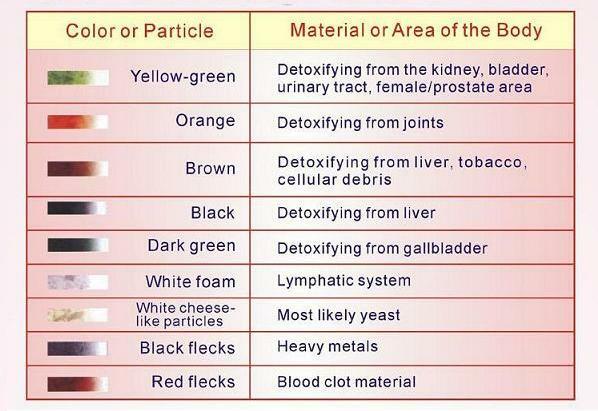 With the decay of the bodies function, toxins accumulate . If the cell is damaged, (electrical potential changed), the permeability of membranes decline and the ability to detoxify decreases. The human body is electric because our cells are electric. Disorders and diseases of the body have vibrational frequencies that are incompatible with healthy cells; thus, they disrupt the cells’ natural oscillation and polarity. This disruption creates imbalance and chaos within each affected cell. When cells are in an imbalanced state, they are unable to facilitate the body’s functions needed for healing, including ridding itself of heavy metals, parasites and other toxins. But when cells are fully charged, they have more oxygen and are able to experience electrical balance, which results in a feeling of a healthy attitude, vitality, well-being, and enables the body to heal itself. This balance increases our sense of awareness and our sense of the mind/body/spirit connection. 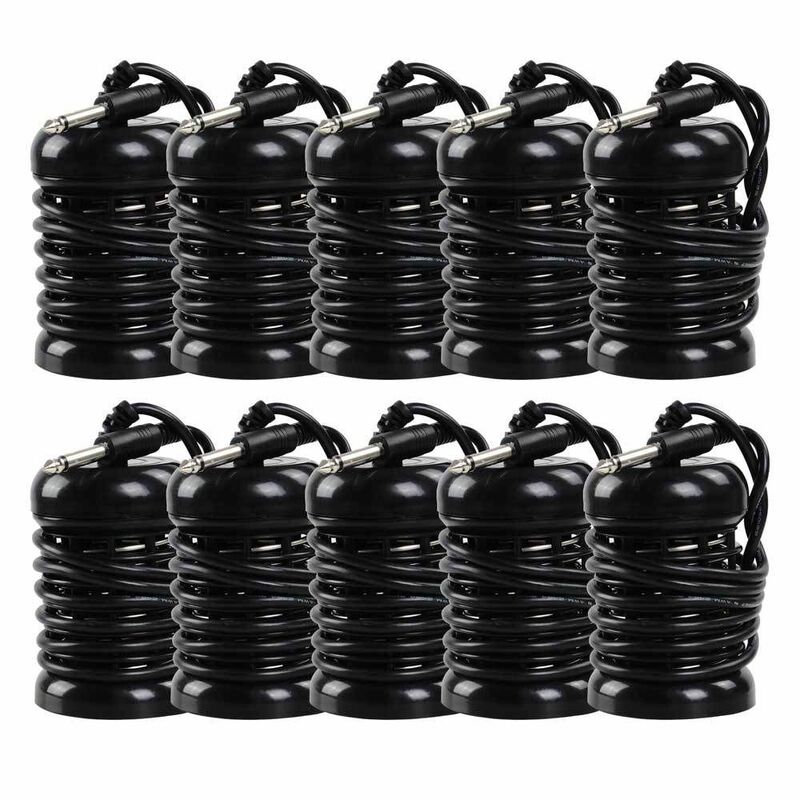 Darkfield studies have shown the machines significantly improves oxygen levels. Ever increasing exposure to toxicity in and around us makes ongoing periodic detoxification essential in order to maintain health and prevent disease. Studies show that an overall balancing effect occurs, along with a significant increase in the number of negative ions. Ions are atoms or molecules that have lost or gained electrons [Free radicals are unpaired electrons]. If the atoms or molecules lose electrons, they become positively charged ions. If they gain electrons, they become negatively charges ions. 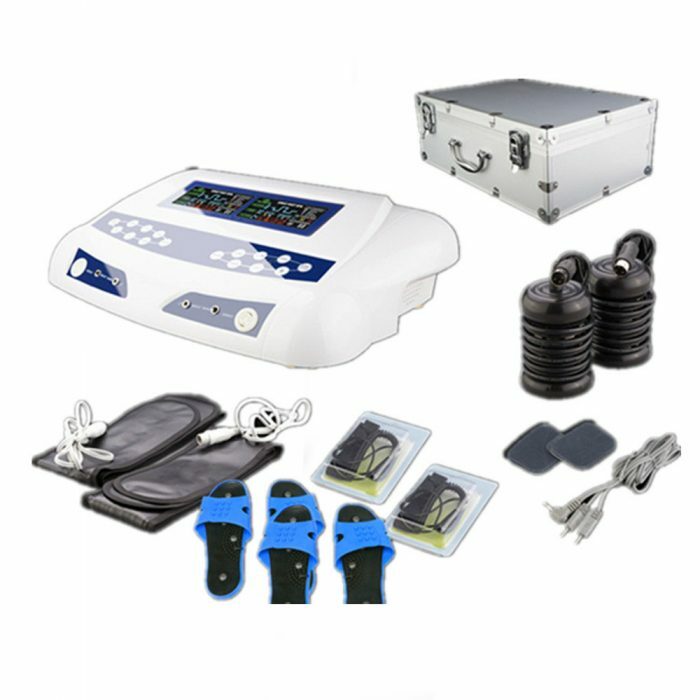 The ionic technique of cleansing thru feet provides a full body purge of all vital organs, resulting in reduced menopause symptoms, menstrual cramps, sexual health problems, skin problems, acne, sleep problems, restlessness, stress, toothaches, vaginal dryness, wrinkles, candida and yeast infections. The internal cleansing also results in faster disease healing and injury recovery..
Water has an almost perfect balance of positive and negative ions. Since the body is composed of about 70% water, its ability to interact with water is very high. When you immerse a body mass into water, the vibrational frequency of the water will affect the vibrational frequency of the body due to the interaction of the magnetic and electrical fields. 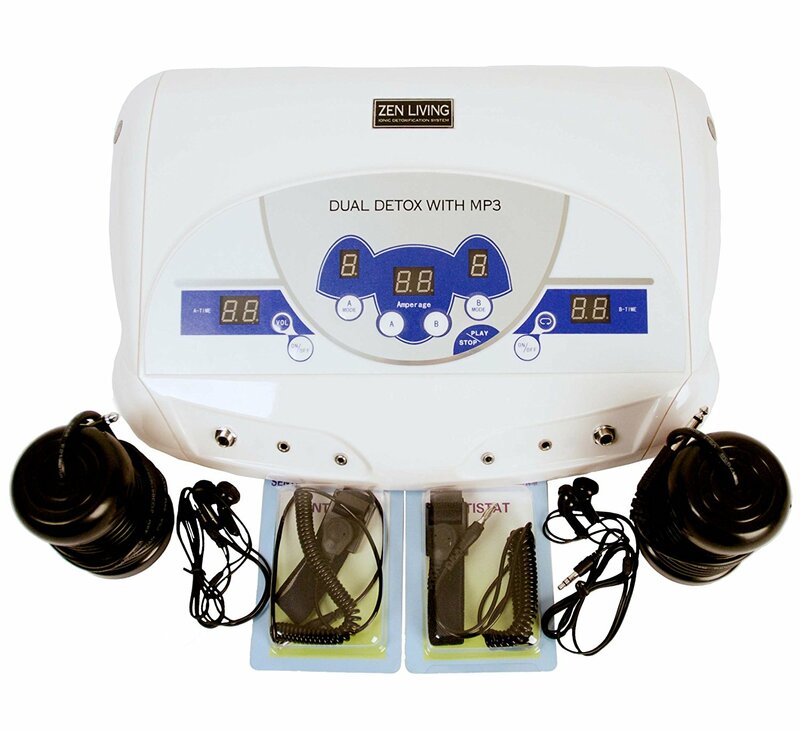 Consequently, the Detoxification Foot Spa unit is one of the best detox products. It is an exceptionally wonderful and natural healing tool. It is painless, with no drugs, and no harmful side effects. “The toxin accumulation lowers the immune system, and promotes premature senility and ill -health etc. 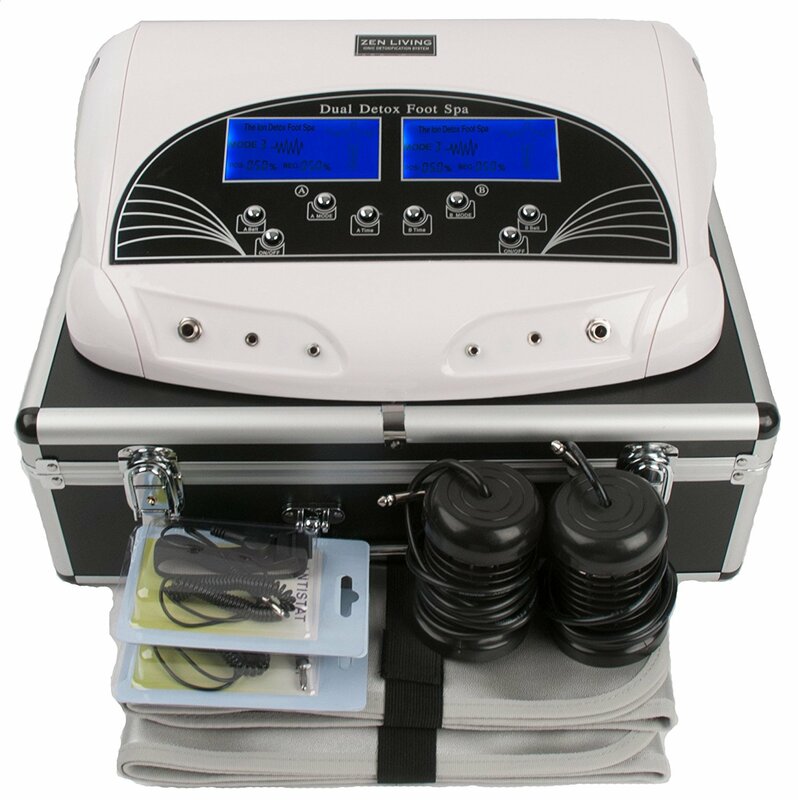 The detox foot spa is developed on the basis of physics, physiology, electrochemistry, dialysis, iontophoresis and toxicology. 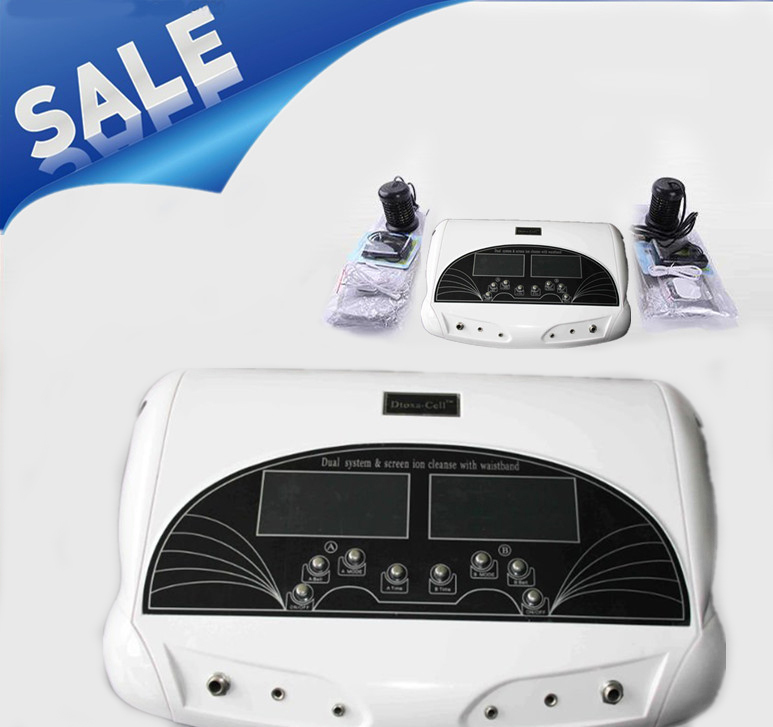 It can activate the cells, improve the activity of the cells, repair the cells by using feet channel therapy, the cell therapy and targeted natural detoxification therapy. 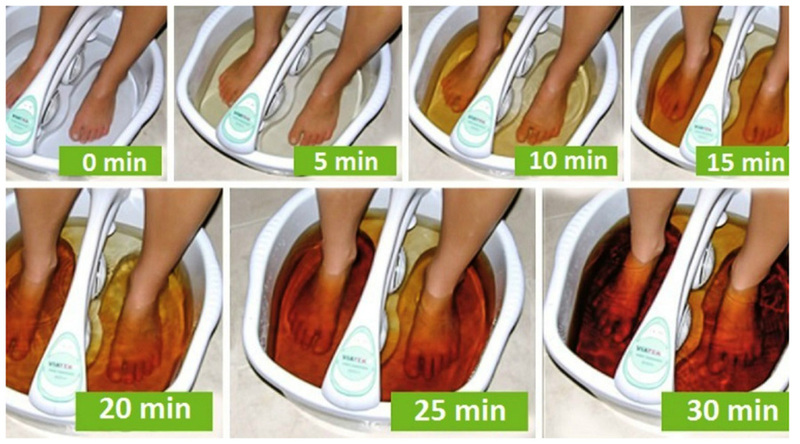 The water analysis shows that the iron definitely increased in all cases when the detox machine was operated with or without feet in the water. So the presence of iron is not an indication of the detox machine interacting with the person. We have to look at the other substances in the water to recognize the effectiveness of this process. The water analysis shows that the very small amount of ammonia in the tap water decreased when there were no feet in the water as the number in the pink went down to 0.00. However, when feet were in the water, the ammonia levels went up significantly in all cases. The ammonia went from 0.2 in the orange to as high as 2.59 with feet in the water. Where would the ammonia come from? Ammonia is a waste product produced when your body breaks down protein. Like many other waste products in your body, ammonia can be poisonous to your cells. The only way for ammonia to get into the detox water is for it to have come from the person who had their feet in the water. 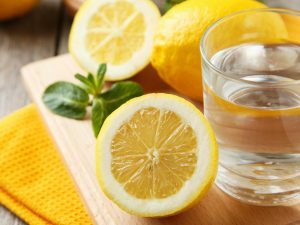 Knowing that this process can assist with removing ammonia from the water can be extremely helpful for people with liver problems that can cause ammonia levels to get dangerously high. The water analysis shows that the nitrates also decreased when the detox machine was ran without feet in the water but increased drastically from 0.5 to as high as 12.0 when there were feet in the water. Where would the nitrates come from? Your body makes about 62 mg of nitrate each day. Eating foods with too many nitrates can pose a problem as the nitrates will be converted to nitrites which can cause cancer. The water analysis shows that phosphates also decreased when the detox machine was ran without feet in the water but increased only some time. Extra phosphate is filtered by the kidneys and passes out of the body in the urine. Extra phosphates that had not been filtered by the kidney would show up in the water. If there were no extra phosphates, then there would not be any to pass into the detox water. · You can actually see live, which body part is being detoxed. · You can control the level of detoxification for a customized detox session. · Two persons can do detoxification at the same time. 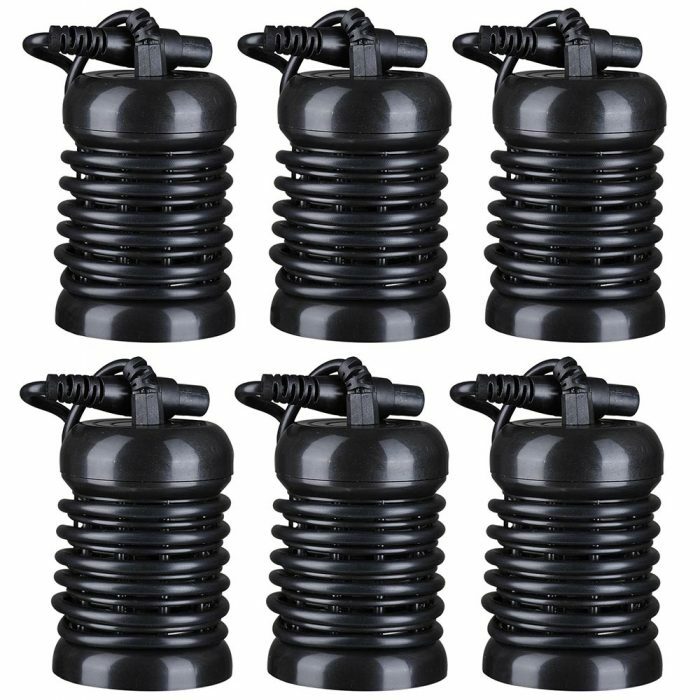 ·Comes with wrist bands for maximum detoxification throughout the body. ·Suitable for clinics, naturopathy centers, doctors and home use. 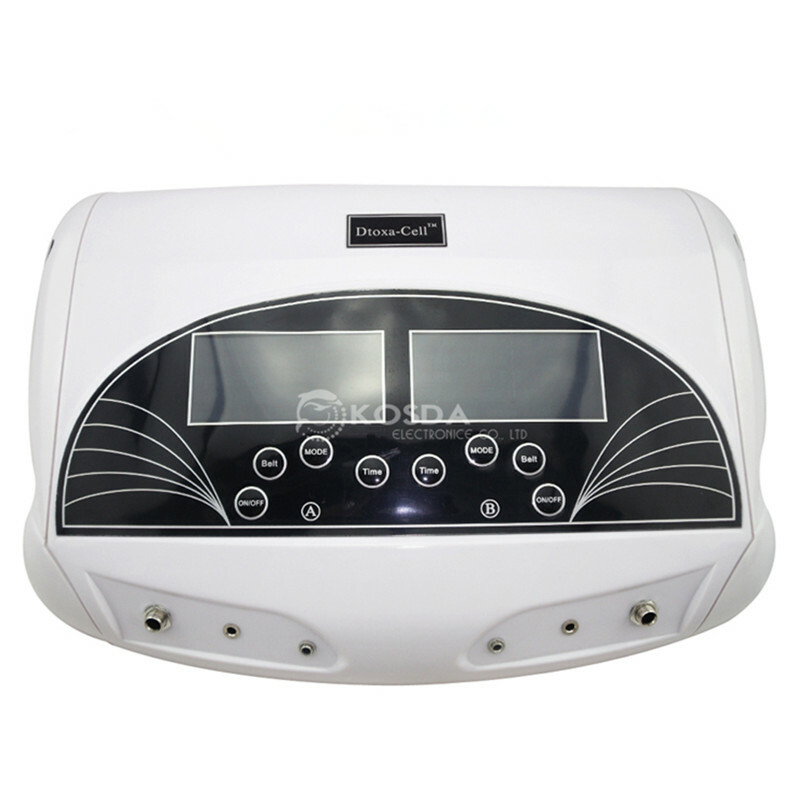 How to use cell spa detox machine Procedure? 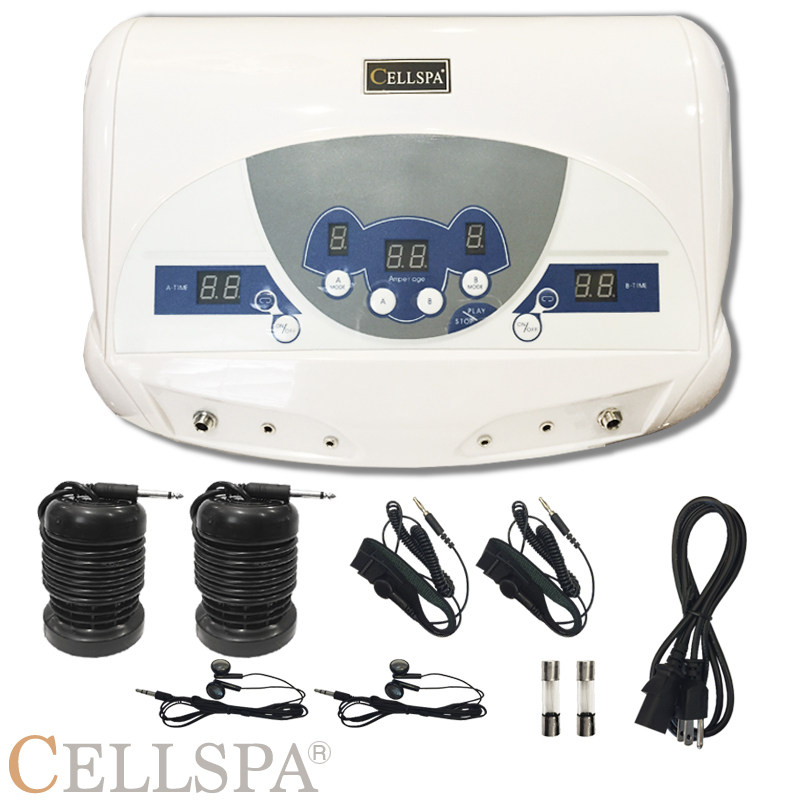 Here below we have explained the cell spa detox machine procedure in a brief manner. 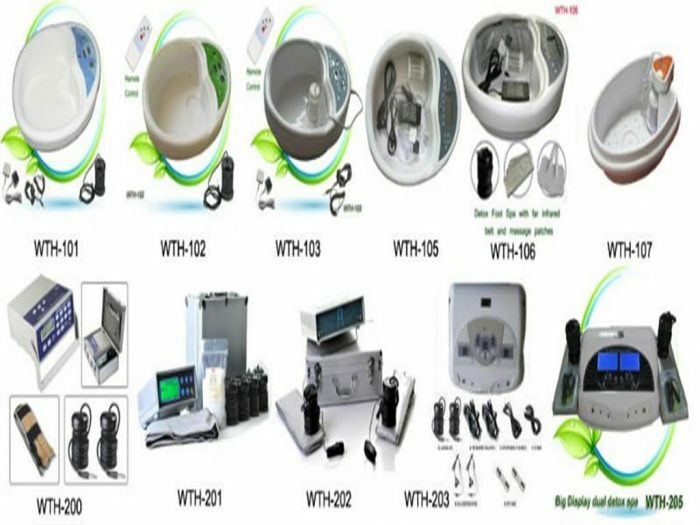 Step 1: Prepare the essential things for cell spa detox machine: Get all the essential things like foot bath, foot lotion, foot scrub, foot file, buffer or pumice stone, foot brush, hand towel, etc. Step 2: Begin the process by washing your feet thoroughly. Step 4: File the feet, using buffer or stone buff the feet and then brush. Step 5: Wash feet twice until water is clear. Step 6: Wipe the feet with towel and then apply foot or body lotion and massage. their is a major difference between running the machine without feet in the water and running the machine with feet in the water! If a detox machine gives the same resulting detox water whether feet are in the water or not, consider the possibility of the detox machine being a cheap imitation that isn’t cleansing or interacting with your body. What do the cell spa detox machine water colors mean? We currently do not use color charts. 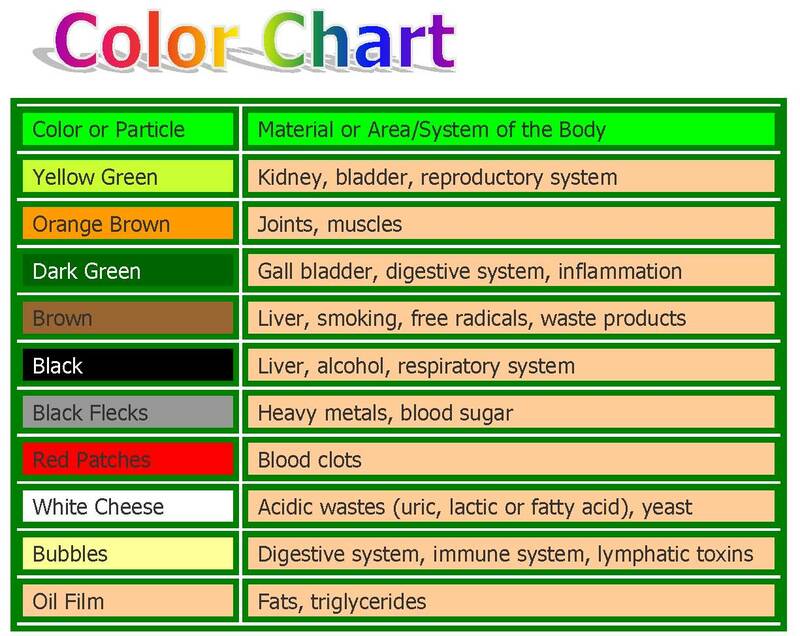 There is no scientific evidence backing up any20color chart as to where in the body the specific colors are coming from. You must understand, what is coming out of the body is microscopic and may not always be visible. 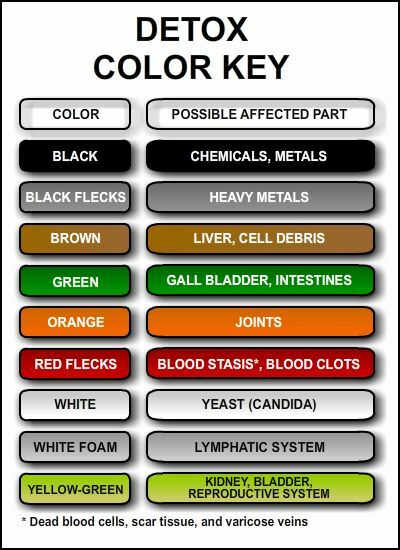 The color cannot diagnose what you are detoxifying. Lets just say you are detoxifying in general the whole body and organs. We can match up the colors according to what organ was detoxified but the truth is that you will see many colors. So how does anyone know that one single color is coming directly from a single organ that you just detoxified? You may detoxify more than one organ in one session. Until there is some documentation, we suggest any interpretation of water the color to be viewed with some skepticism.